MAPG provides the highest quality commercial and industrial glass work installation, repairs and glazing systems. Our team has experience with complex building envelope systems and the critical real world expertise it takes to make your project a success. With over 60 years of experience, MAPG is recognized as an industry leader with a diverse array of projects including National Chain Stores & Restaurants, Standalone Retail & Commercial, Colleges & Universities, Governmental Buildings and Multi-Storied Office Complexes. 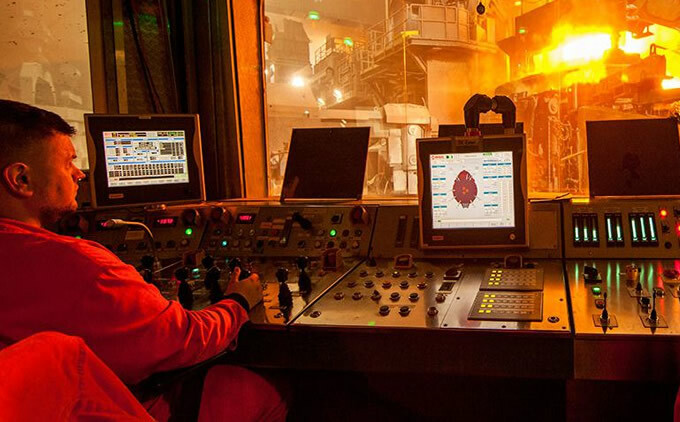 MAPG has pioneered advanced glass protection for the North American Höganäs melt furnace control room, from heat and potential blast forces. Modern Art & Plate Glass is a great company which prides itself on listening to the customer. We rely on solid companies like MAPG to be close partners on projects -- they have the right kind of experience so we can trust the work will be done right. They are certainly a first class operation that pays attention to the details. It has been my pleasure to work with MAPG for the past 9 years on a number of jobs, including Johnstown, Meyersdale, and the North Hills of Pittsburgh. We can always expect their very best work, from field measure to installation. MAPG crews always pay particular attention to detail, identifying issues early to be sure installation is completed without delay.